This will look so pretty!! 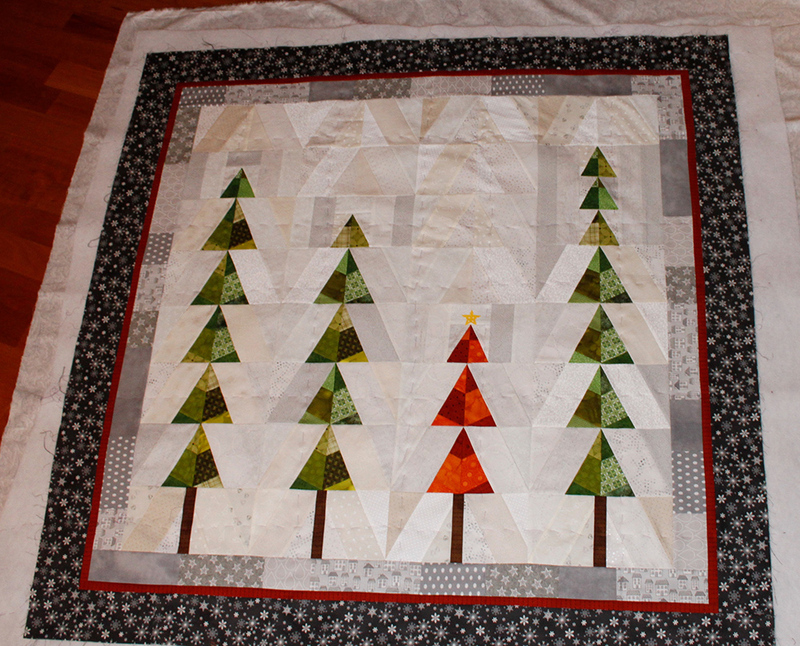 Then I remembered I had made some Christmas placemats a while back..... 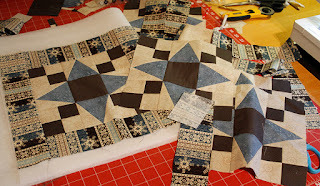 They need to be quilted and bound so they are ready when December rolls around. 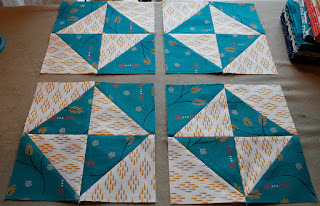 Last night I basted this together, and I had planned on quilting it today, but I started reading a new book last night (Me before you by Jojo Moyes)( Et helt halvt år) , and I haven't been able to put it down long enough to start quilting..... I am on page 395 now, and I will probably read the last 100 pages tonight.... I am just hopeless when it comes to reading books. I can't seem to put them down until I finish them.... So no more time for blogging.... Thanks for stopping by! You have been very busy, such beautiful projects. I to am making Hope Chest, its a lovely quilt. Happy sewing. Home & sewing are both good things. I love all your projects. Looks like you're busy making lots of fun stuff. 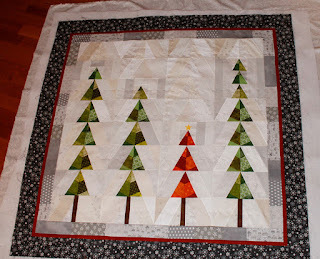 I especially like those cute trees! The Hope Chest blocks look beautiful! It's going to be a stunning quilt. 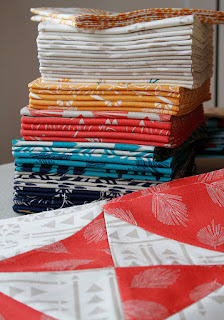 I love the fabrics in the hope chest block.